A 600-km-long cycle route, La Vélo Francette (or Véloroute V43) connects Basse-­Normandie to Poitou-Charentes. On its way it crosses the long Loire à Vélo cycle route. 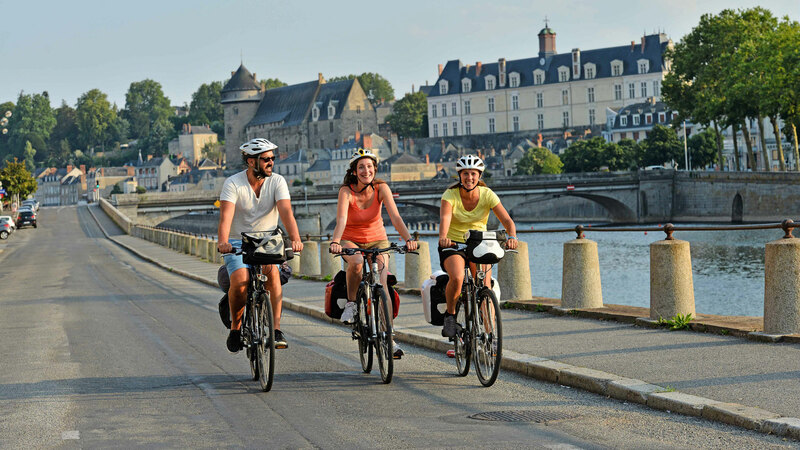 As you travel you will notably discover Angers and Saumur as you explore the Loire and other rivers. La Vélo Francette is a newly marked cycle route that replaces the Véloroute V43. From Ouistreham to La Rochelle, it passes through the regions of Basse­-Normandie, the Pays de la Loire and Poitou-Charentes. 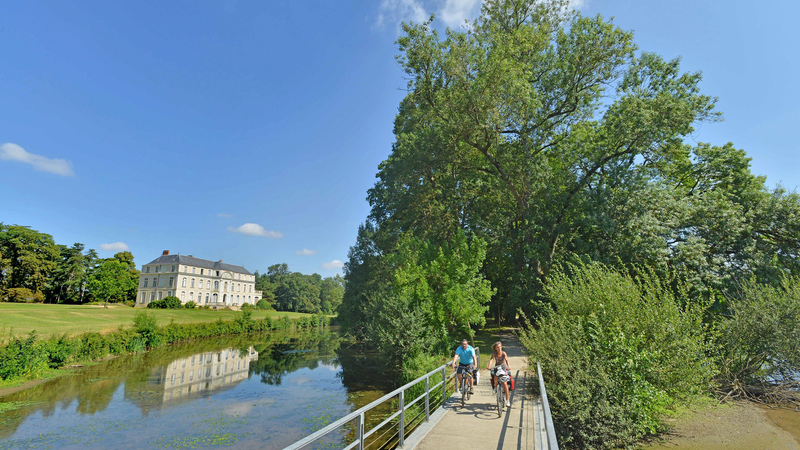 Along the 600 km of cycle path, you will travel through the tranquil countryside and villages of seven départements and along rivers whose banks have been prepared to attract cyclists, walkers, fishermen and boaters. After travelling along the Mayenne via the towpath leading from lock to lock, you will arrive at the gateway to the Loire Valley. In Anjou, cycle along the Loire and discover the amazing trogolodyte dwellings that are so typical of local area. These cavities, which were created by mining activity for their tuffeau stone, testify to the construction of castles and monuments. Don't miss out a visit to Angers and Saumur, two iconic towns in the Loire Valley. The Vélofrancette continues along the Thouet to Montreuil­-Bellay, a fortified "Petite Cité de Caractère" ("Small city of character"). The Vélo Francette is interconnected with other major cycling routes. Between Angers and Saumur, for instance, it joins the Loire à Vélo. 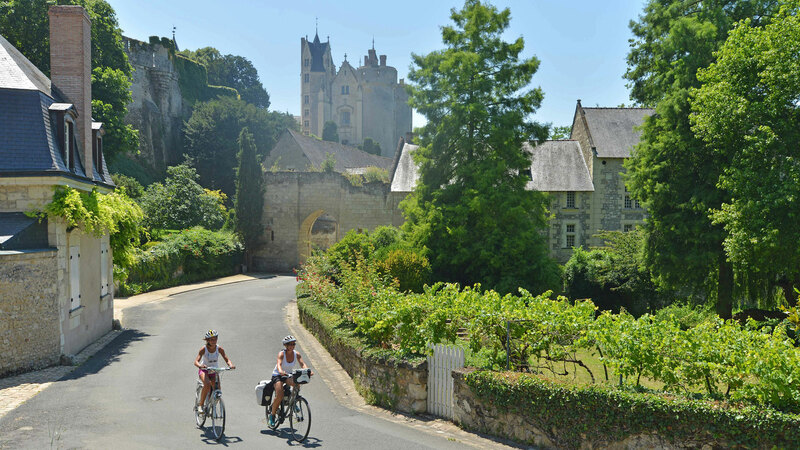 This famous cycling route covering 900 km runs from one end of end the Loire Valley to another, from château to château.